Are you looking for a firm large enough to offer a full array of accounting, taxation and consulting services, but small enough to know you on a personal level? Then look no further than Midwest Bookkeeping & Tax Service. We were established in 1919. Whether you need accounting, tax planning, tax return preparation, estate and trust service, small business consulting, or a full complement of other individualized services, we will give you the full resources you would expect from a large accounting firm while maintaining the personal touch. Janet Downs has a bachelor’s degree in Business Administration with an Emphasis in Accounting from University of Missouri at Kansas City. She began working at Midwest Bookkeeping & Tax Service in 1977 and later purchased the business in 1998. Janet is an Enrolled Agent (EA), Accredited Business Accountant (ABA), Accredited Tax Advisor (ATA) and Accredited Retirement Advisor (ARA). She currently serves as Executive Director of the Missouri Society of Accountants, having previously served as Secretary and President of the organization. She also has served as Chair of the Education and Professional Development Committee with the National Society of Accountants. Janet is also a member of the National Society of Accountants and the Raytown Chamber of Commerce. Cindy began working at Midwest Bookkeeping in 1998. 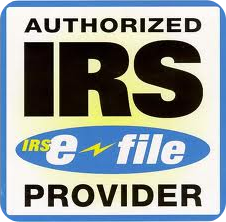 She received the Registered Tax Return Preparer (RTRP) accreditation in 2012. She is an active member of the Missouri Society of Accountants (MSA). Cindy prepares accounting records and payroll returns for our business clients, and reviews tax returns for accuracy. Krystyl is the newest member of the team. She began her career at Midwest Bookkeeping in 2015. She has an extensive banking background. She lives with her husband and three “fur-babies” in Kansas City. She is an active member of the Missouri Society of Accountants (MSA). Krystyl is the lead payroll specialist which includes payroll reports/returns for our business clients. She also assembles tax returns and maintains the portal website. Melissa began her career at Midwest Bookkeeping in 2009. She received her BSBA in Finance and Economics from the University of Missouri- Columbia in 2006, and a MBA in Finance from the University of Missouri- Kansas City in 2009. She recently passed the ATP Exam and is currently sitting for the CPA examination. She is an active member of the Missouri Society of Accountants (MSA) and is currently the Kansas City Chapter Secretary. Melissa assists in preparation of individual income tax returns, prepares accounting records and payroll returns for our business clients, and maintains the social media outlets and website information.